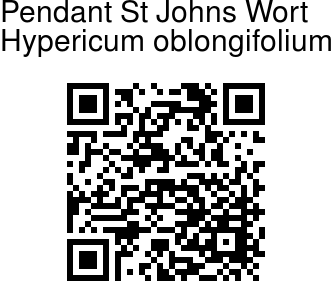 Pendant St Johns Wort is a much branched perennial shrub 1-2 m, with arching, pedant branches, with oblong to elliptic blunt leaves and few large yellow flowers 3.5-7 cm across, at the end of branches. Petals are mostly narrow obovate, 15-30 mm long, about 1.3 times longer than the stamens. Sepals are unequal, ovate-elliptic, with entire margins, stamens about 30 in each fascicle, styles up to 2 cm. Leaves are stalkless, 3-8 cm long, with dense network of veins on the underside. 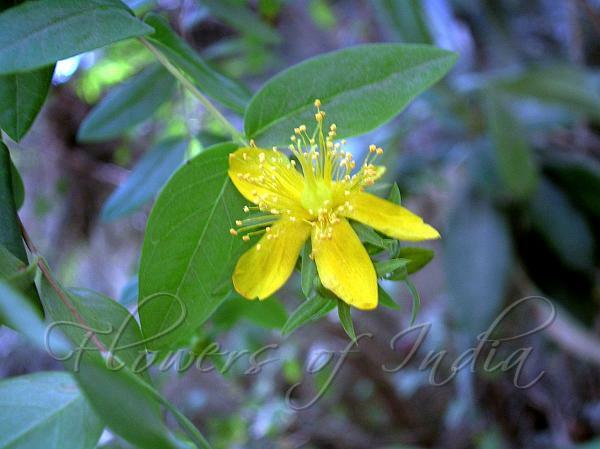 Pendant St Johns Wort is found in the Himalayas, from Pakistan to C. Nepal, at altitudes of 800-2100 m. Flowering: March-August. Photographed on Govindghat-Ghangria route, Uttarakhand.